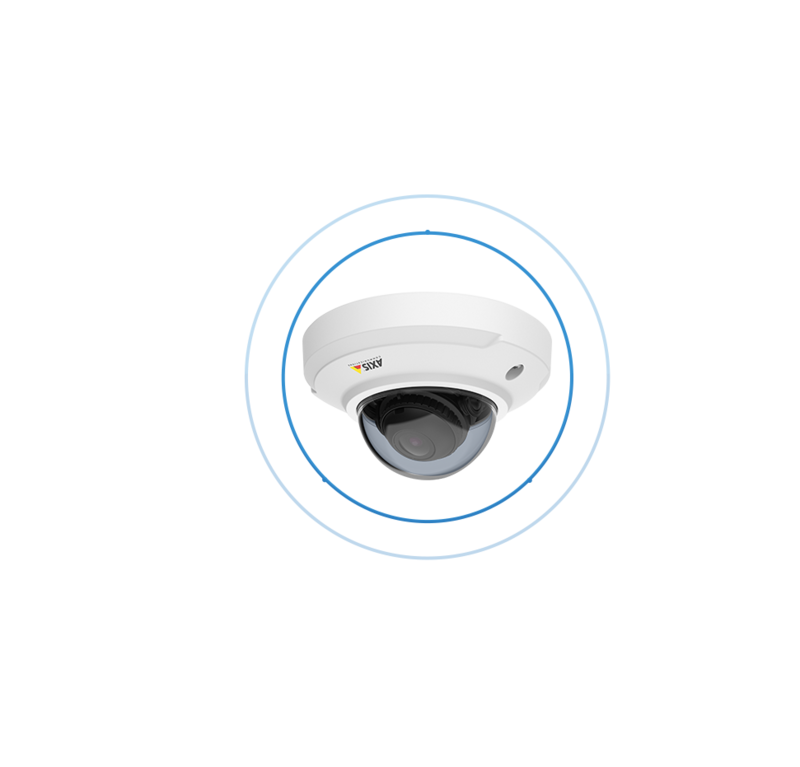 An online service that measures and reports shop attendance using software stored in Axis IP cameras. 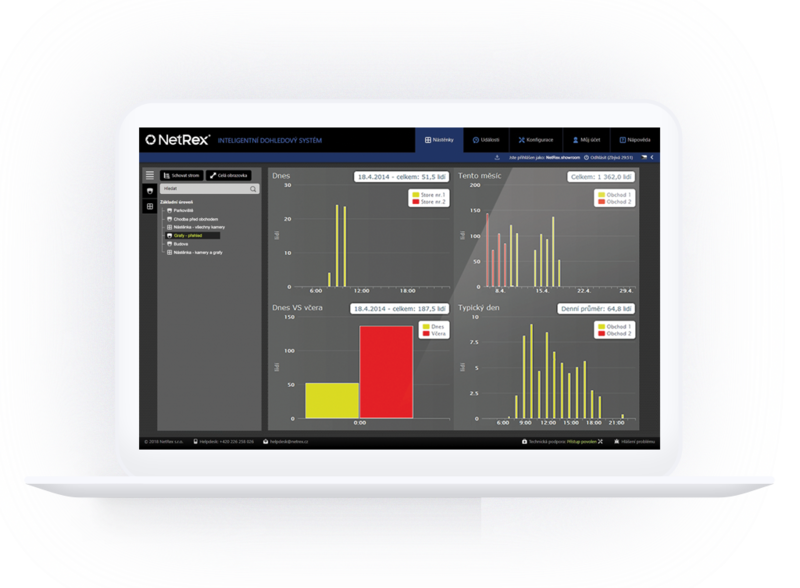 NetRex Counter is an online service that measures and reports shop attendance using software stored directly on Axis IP cameras. The NetRex Counter is also a great performance indicator, for example, to evaluate individual stores. Thanks to this service, you can also efficiently schedule shifts or better evaluate marketing events. NetRex Counter counts – for you! Use this clever online service that will take your company forward. NetRex Counter is the ideal choice for retail. When it connects with your cash register data in your stores, it will tell you how many visitors have actually become your customers. You can track the conversion rate. Don’t know how many employees to allocate to the store? This innovative service will find out for you. Balance out the number of staff to customer satisfaction. Discover the NetRex Counter and you will see that you will have few worries. Thanks to sophisticated counter communications and our servers, installation is very easy and fast. You can do it yourself or our technicians will take care of it. Save time and finance right from the start – when installing. The NetRex Counter service is highly resistant to Internet failures. Due to constantly checking for proper device functionality and overall service, you can rely on maximum data relevance. Don’t let anything escape! Secure and backed-up NetRex servers maintain the data stored for the duration of the service. This will make your information always available for your needs. And security? This is a priority for us! Keep all data safe. The counting camera software analyzes passing groups of people including the direction of their movement. You can rely on high precision - up to 99%! Let the NetRex Counter count for you. One single camera connected to the central platform can reliably analyze passing groups of people. No unnecessary cameras, computers and other equipment. Believe that one piece of equipment is enough! The Advanced Smart Interface provides the necessary data in the form of graphs and spreadsheets. You can work with this interface on your computer, tablet, or mobile phone. Work with your data smartly! Automatic reports will arrive in your e-mailbox at exactly the specified time per minute. This means you do not have to waste time accessing the system itself. The NetRex Counter saves your time. The NetRex Counter automatically fills in an Excel sheet on the visitation of your shop, at regular intervals. No more manual, boring filling of tables. Rely on the NetRex Counter, which is also friends with Excel! The NetRex Counter can easily and quickly combine traffic information with cash register data. This gives you an accurate metric for the performance of your shop. And you will learn how many shop visitors will actually become your customers. Clear and reliable information on conversion rate. Keep an eye on everything. A Smart Application Interface assures you have all the data you need in your systems. Work with data efficiently and in an environment where you know it is excellent. Volume discounts Please contact our sales department. 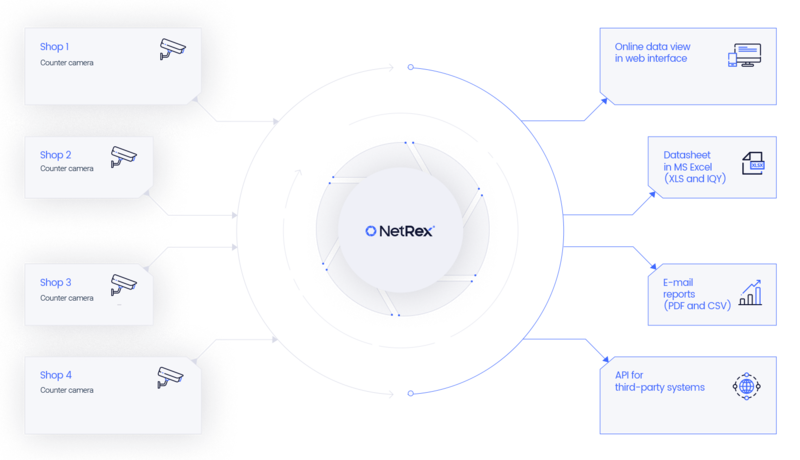 The NetRex platform also allows the use of a variety of add-ons. You can choose from pre-prepared ones or it is possible to create a tailor-made add-on. For example, you can receive a regular report in your e-mail where you can find time when your store was opened or closed, photo shots of the shop windows or actual temperature of the freezer box. There are a lot of other options and possibilities. Mr.Baker’s shops are safer thanks to cameras and are guaranteed to open on time. The cameras protect against the theft of all the fresh delicatessen stores. Clothes stores have gained a reliable tracking tool, connected with other company systems.